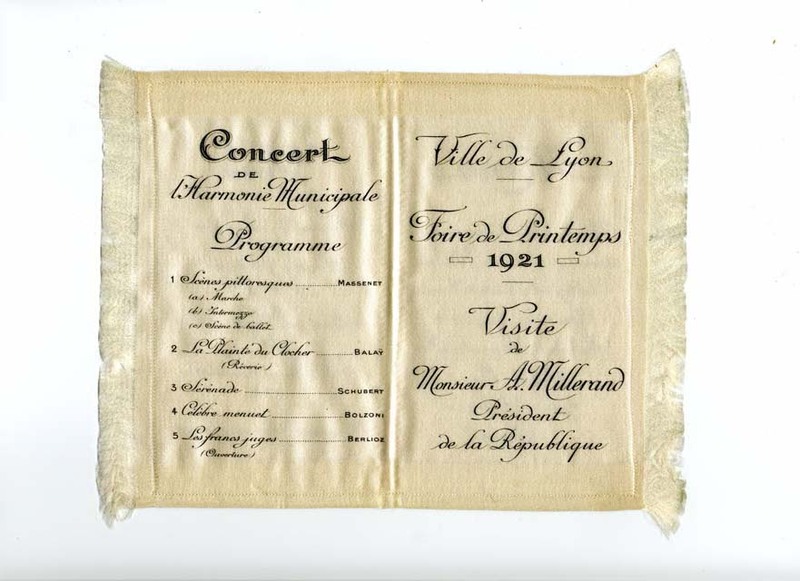 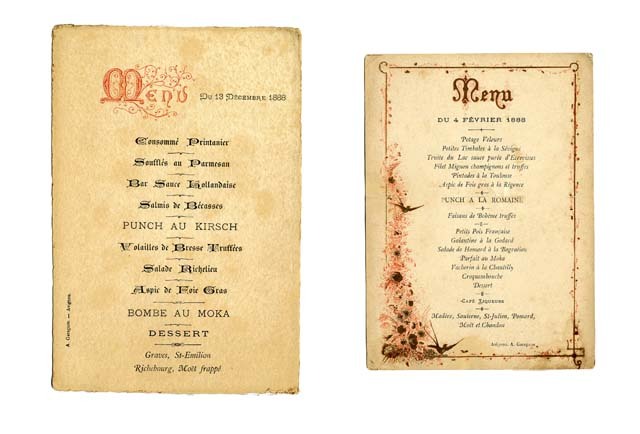 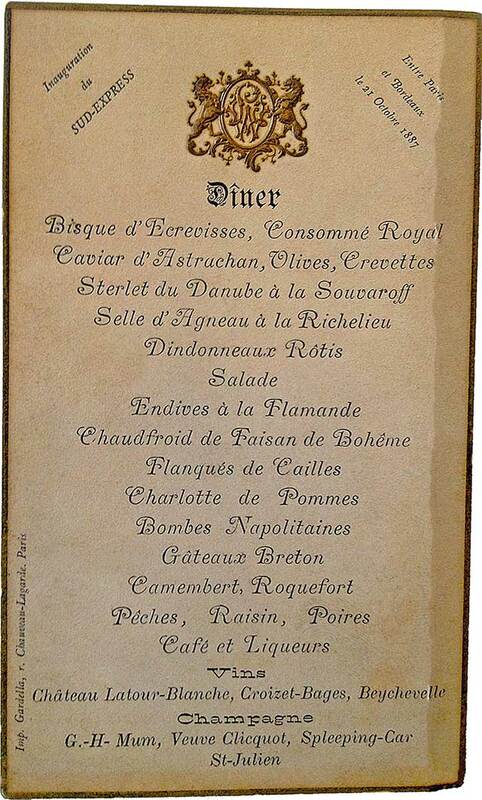 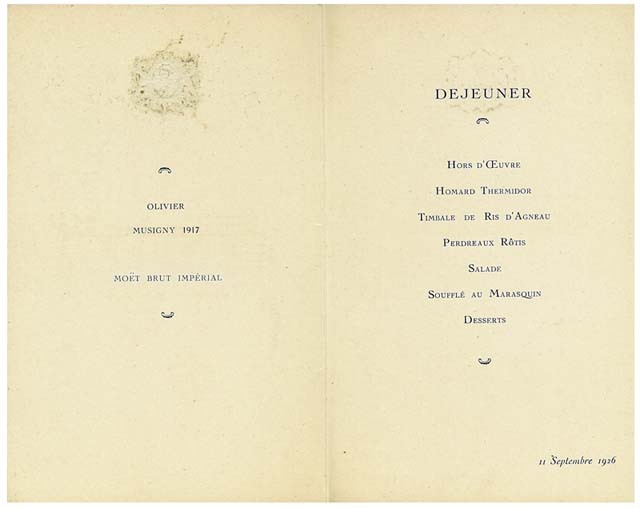 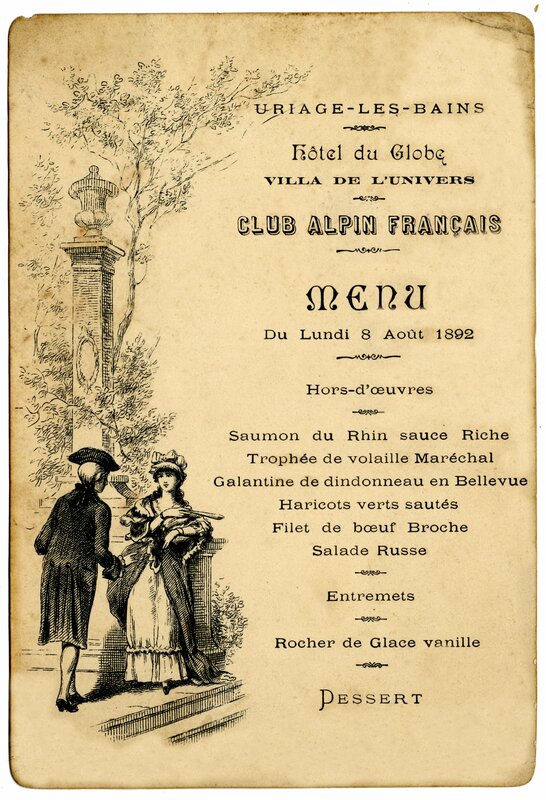 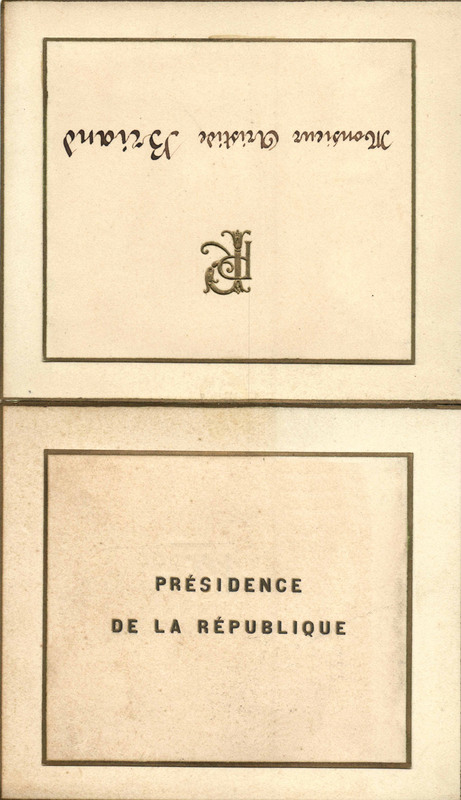 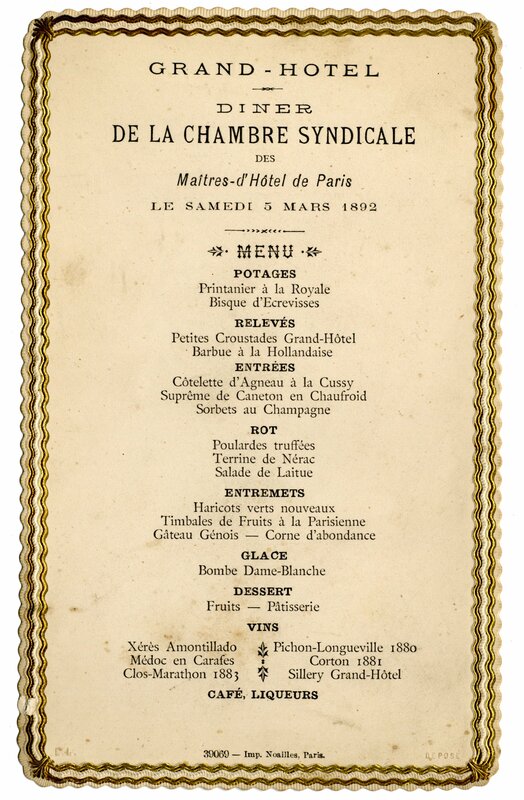 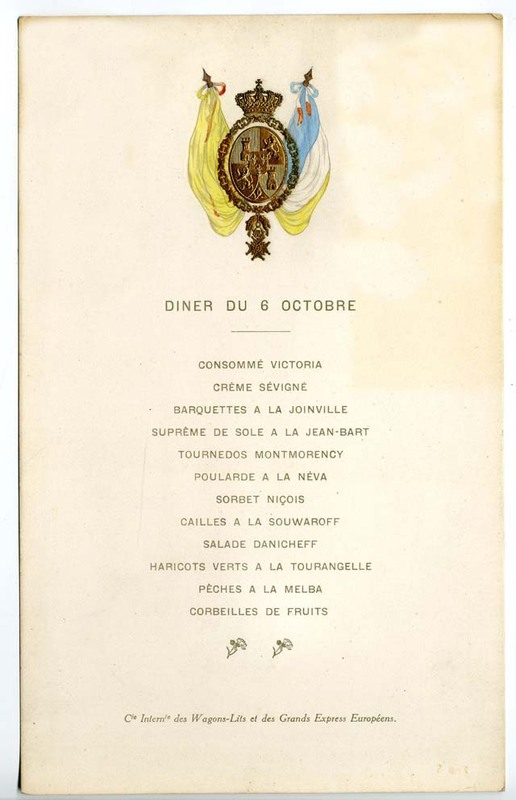 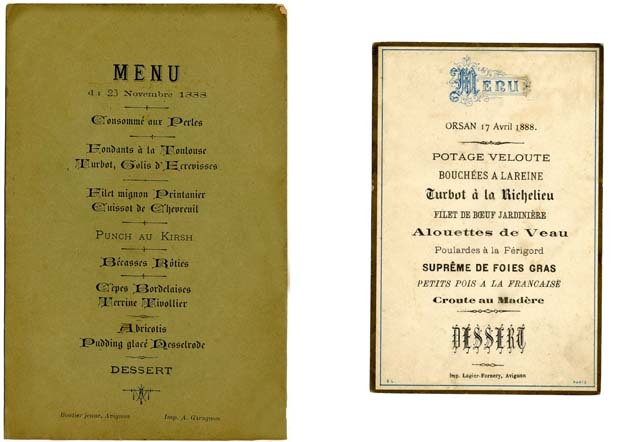 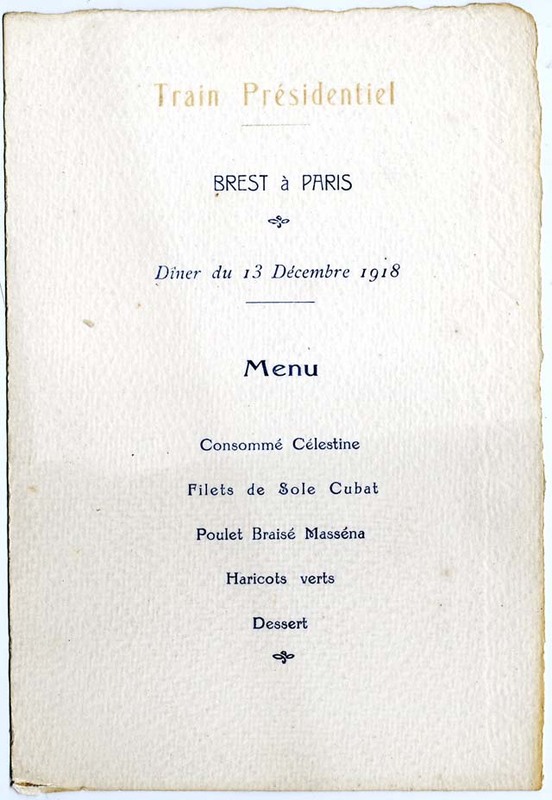 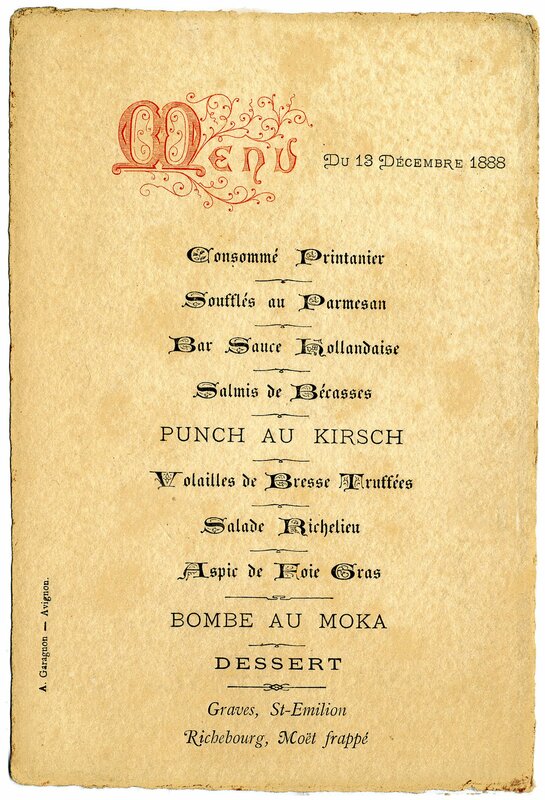 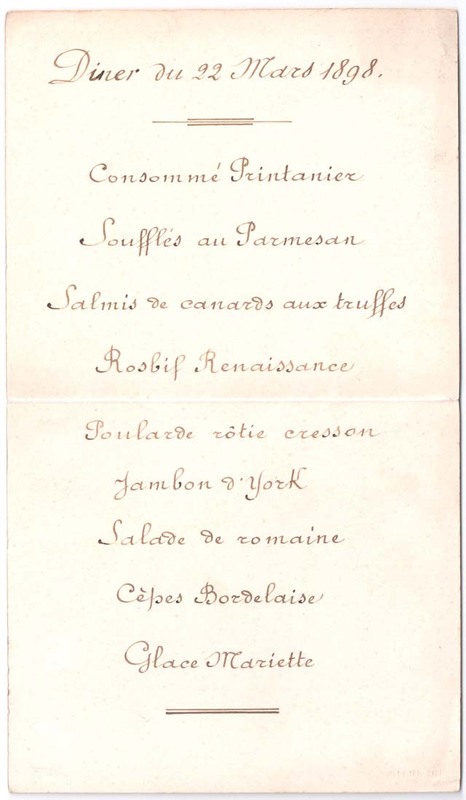 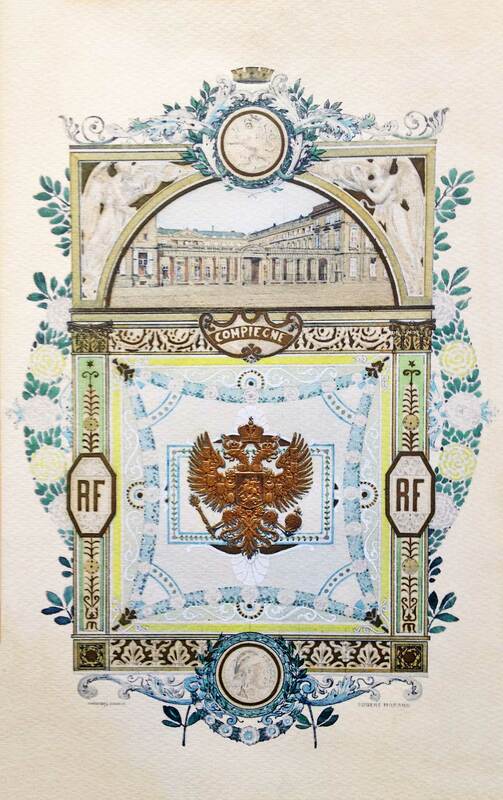 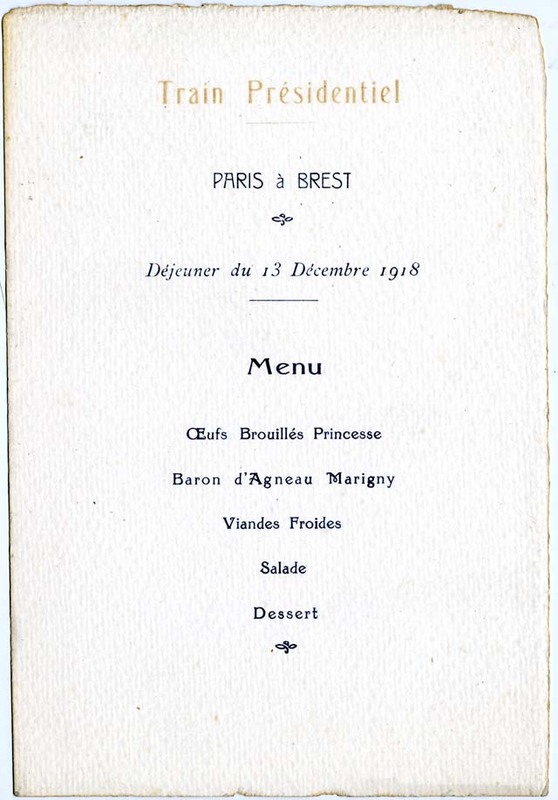 Menu served on the 20th September, 1901 for the official visit of Tsar Nicholas II and Tsarina Alexandra from 18 to 22 September 1901 at Compiegne Castle. 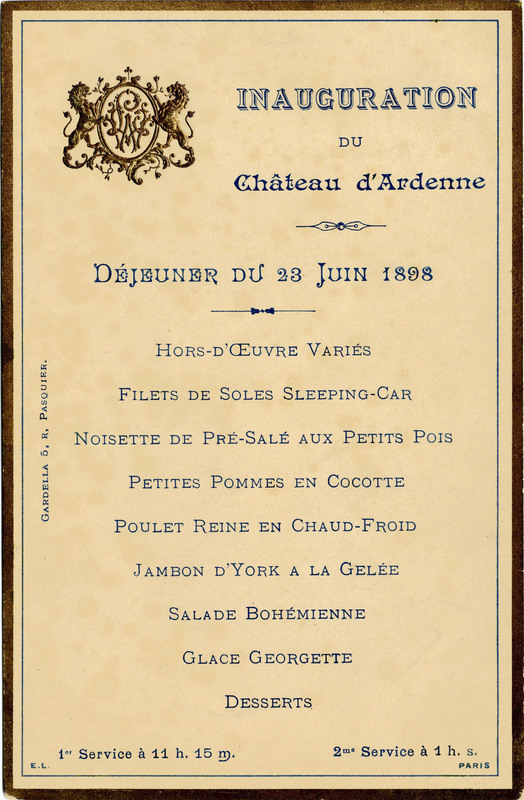 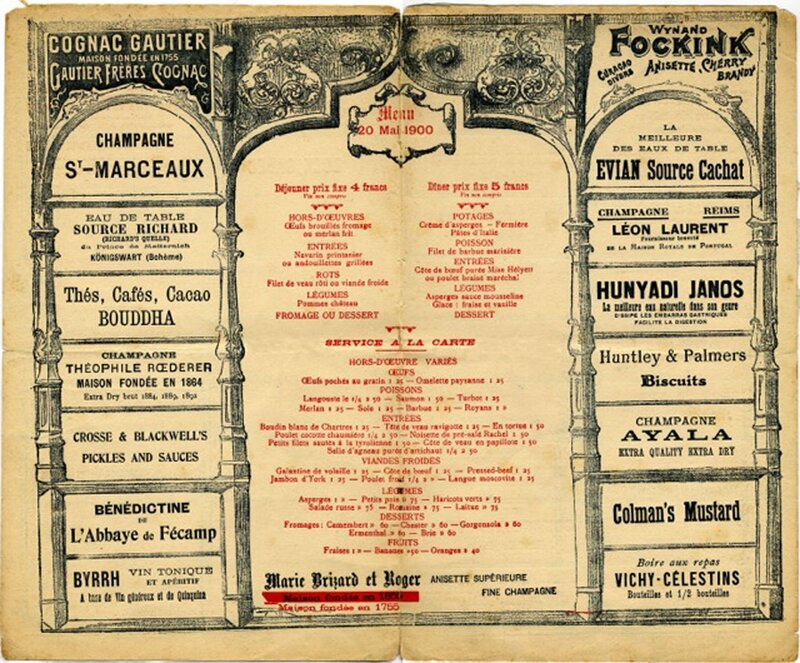 The banquet in 10 services was served with Château Yquem 1874 and Château Lafitte 1875. The school’s restaurant was named The Charles in memory of Charles Bouvier, great-grandfather of the current president. 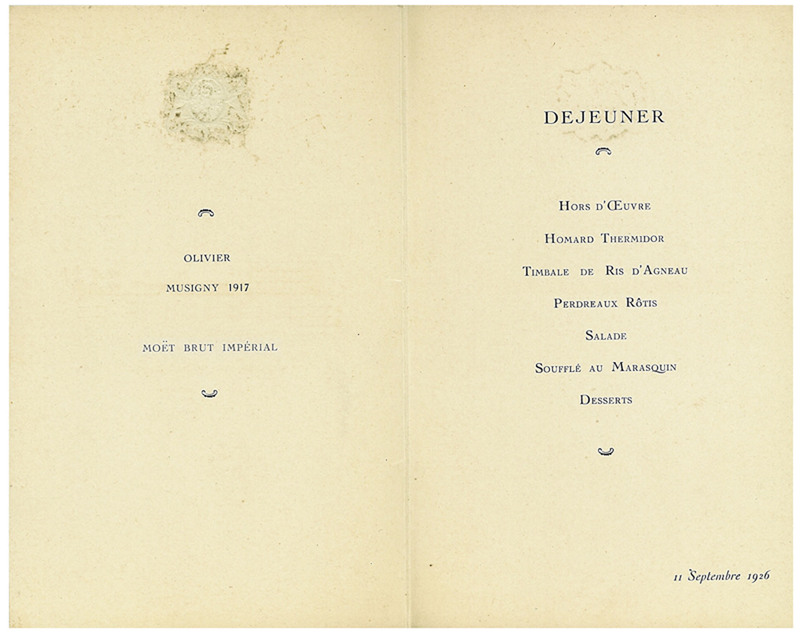 Charles Bouvier was Brigade Commander of the Presidential Train for more than 15 years, from 1912 to 1929. 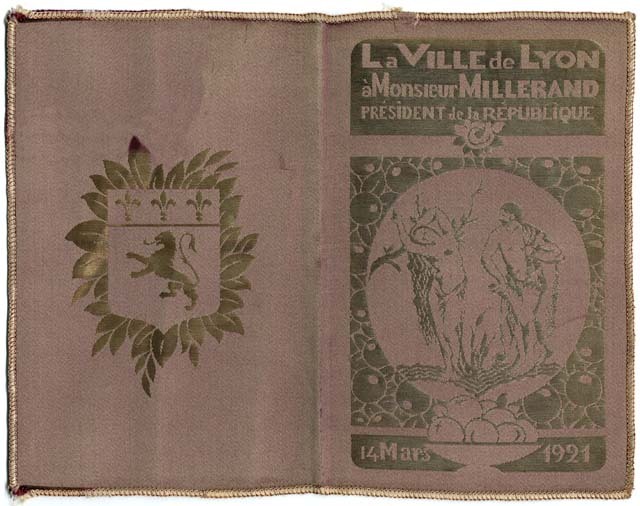 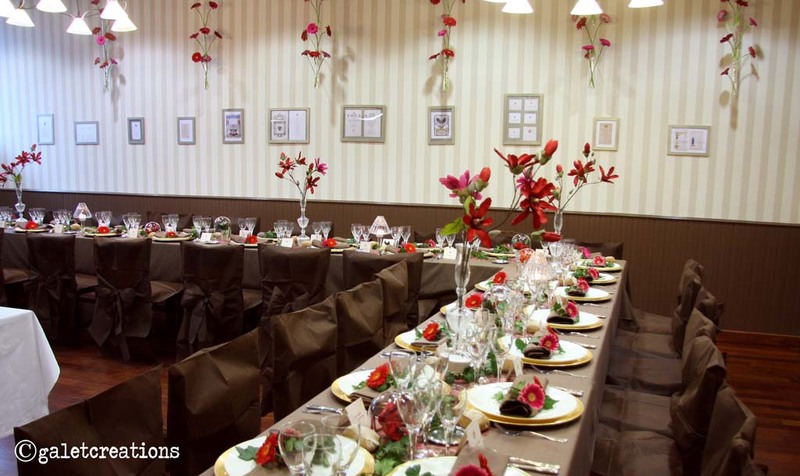 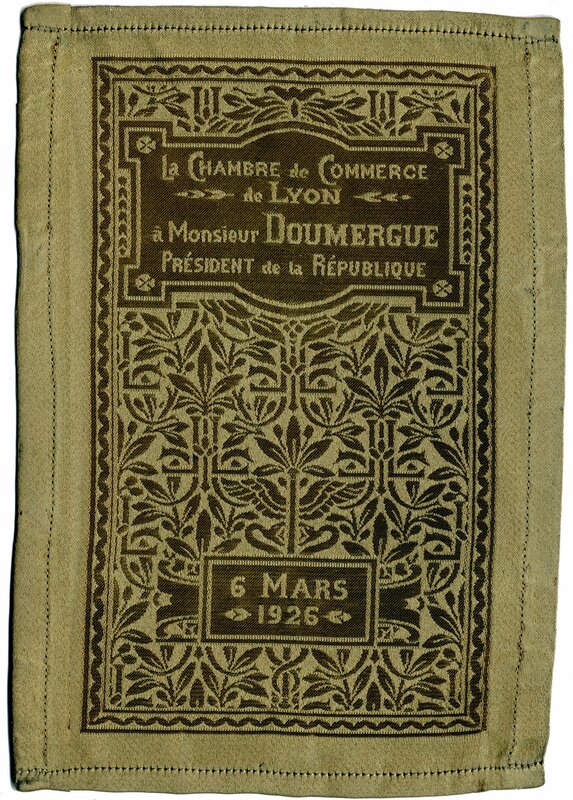 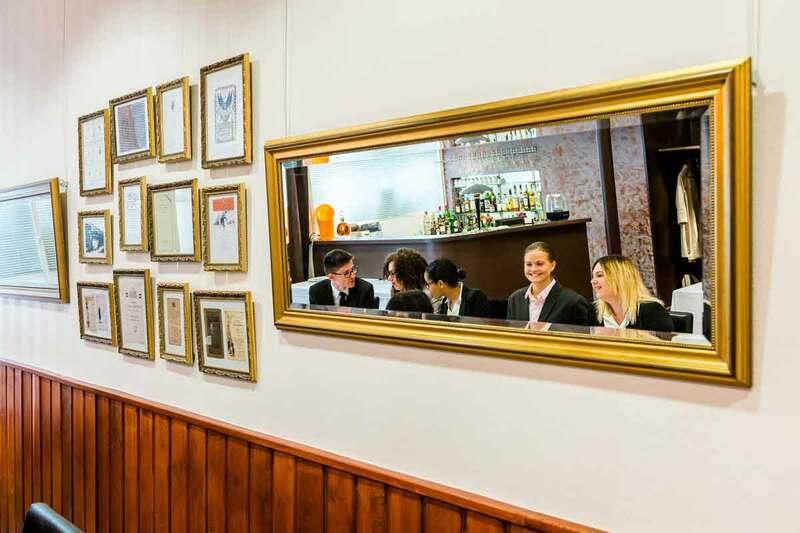 The family collection of his historic menus adorns the walls of the restaurant.